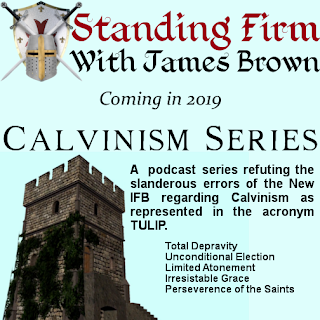 During 2019, Standing Firm will be defending Calvinism from the Biblical eisegesis and outlandish charges of the New IFB Movement. Specifically, we will be reviewing a series of videos by Pastor Matthew Stucky of Verity Baptist Church Manila. In his series he presents a refutation of Calvinism following the acronym TULIP as his outline for the series. This episode is the introduction to our series as we give an answer to Mr. Stucky's slanderous assault against the Doctrines of Grace.